I wanted a fresh, crisp salad when I got back from my recent trip to Chiapas, Mexico, and this salad is what I came up with. I knew I wanted a cabbage-based salad, and a dressing that would incorporate Mexican ingredients. I was missing two things: fresh cilantro (which I had anticipated using but forgot to buy during my grocery run), and avocado. In any case, this salad turned out to be very tasty and a nice pairing for some leftover chili I pulled out the freezer upon my return. Wash and prepare the vegetables as described above. For the dressing, whisk all ingredients together, or combine in a blender. 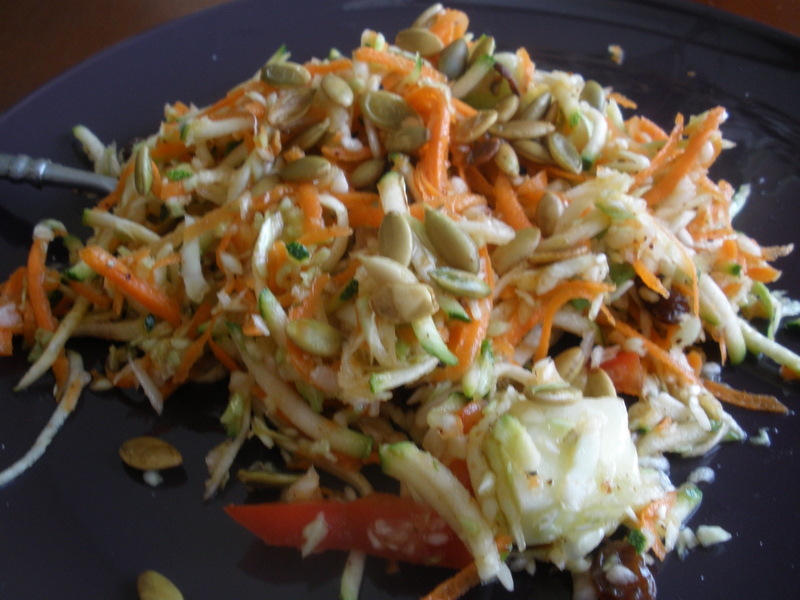 Combine dressing and salad, tossing until the dressing evenly coats the vegetables. Taste, and add additional honey, vinegar, salt, and/or pepper if you like. 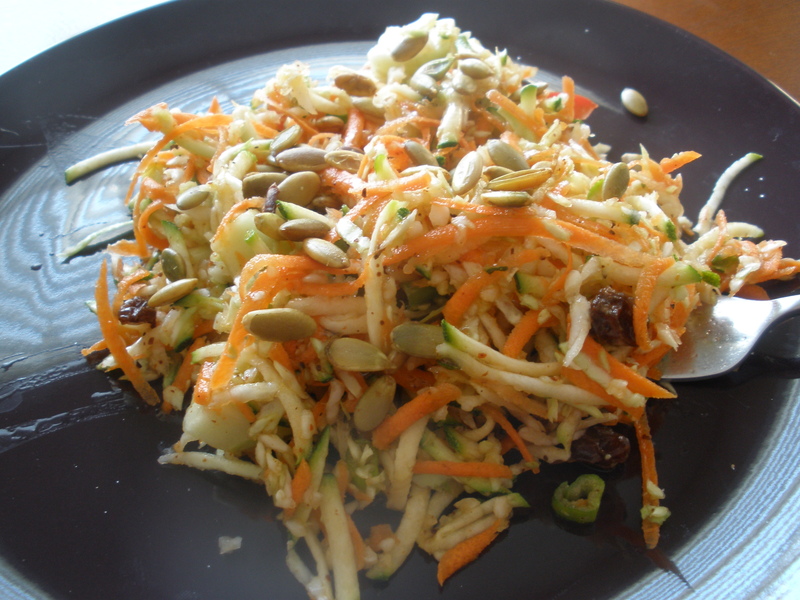 If your salad turns out too tart, add honey to counterbalance the acidity.